I had to read her comment again to be sure that was what she said. they had contacted me months earlier but I didn't hear anything else after that. I didn't have my copy yet ... it was making me crazy! I appreciate each of you much! Wow, Courtney. That is such an honor. Congrats on the feature. Maybe my dream will come true some day, too. It has to be so cool to see your home in a magazine. Yay for you!!! Your home and your ideas are wonderful. You deserve to be in the pages of a magazine. Congratulations, sweet friend ♥ I know it's a great surprise seeing actually seeing it in person, but please tell me that they asked to use your photos. Congratulations! I just picked up a copy tonight...didn't even crack it open yet...now I won't be surprised when I see your lovely blog featured! Wow, that's so cool!!! Congrats! You deserve it! Congratulations! Looking forward to seeing your home in the magazine. Your home is LOVELY! CONGRATULATIONS...so very happy for you!!! Yes, Congrats Courtney! Much deserved!! 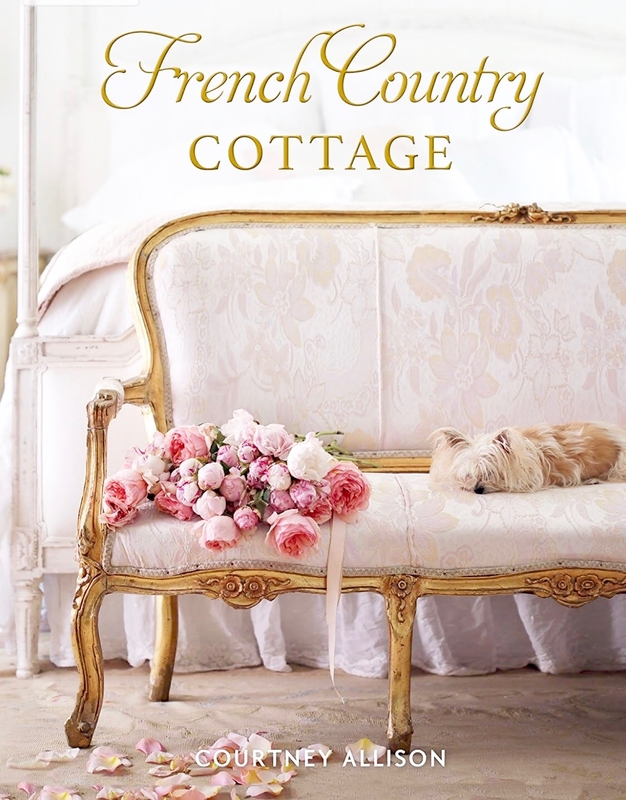 Your vignettes and French Country decorating is so romantic and beautiful! A perfect fit for Romantic Homes! Congrats Courtney...I'm so happy for you...this is really awesome news!!!!! Now I can't wait to get the magazine too! I too have the dream to be in Romantic homes someday--and I am so happy for you you are having that dream come true! How fun! I got my copy last week. It was my very first copy of romantic homes mag. WOW WOW WOW. I'm thrilled for you Courtney but not at all surprised. Your home and blog are certainly magazine worthy. Congratulations! Congratulations, Courtney! A well deserved feature! I love it! More and more I think magazines need to pick up on the real deal! You have it! Bravo! I picked up that issue last Friday and saw your blog was featured! Congratulations!!! That is so cool! Oh my goodness Courtney, you are a star! What an honor. Congratulations on such a fabulous feature. It's a dream come true, I'm sure. Mine too! What a treat and what a special feeling, I'm so proud of you and for your home being featured in a magazine! Very cool, indeed. Congrats, Courtney! It was bound to happen. Your home is beautiful. Courtney how amazing is that!!! The Cottage gets Romantic Homes but I have not seen this issue come in yet. As soon as I do it is mine! I am so happy for you! I think that is just the best compliment one could ever get! A huge congratulations to you Courtney! To be honest I was waiting for that to happen for you, I knew it would,you are so worthy and deserving of such a honor! Congratulations! that is so exciting. Your home is gorgeous and this is a well deserved feature. 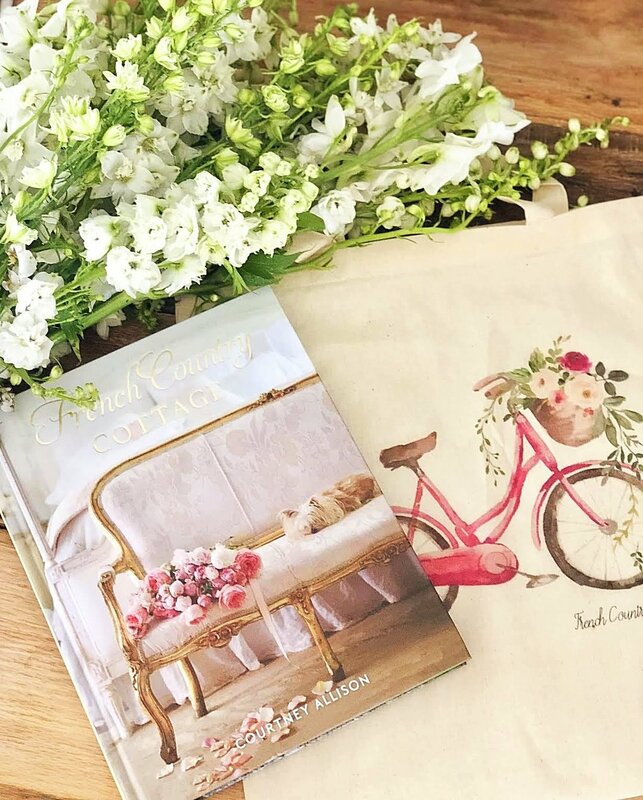 Visiting your blog is like looking at a beautiful magazine layout every day! Congratulations!!!!! AHHHHHHHHHHhH!!!! That's so exciting! And your house looks BEAUTIFUL... You should be so proud! It's no surprise, look how cute your house looks on those pages! Congratulations on the Romantic Home feature! Such an accomplishment. I'm always blessed to hear of someone achieving a dream. And wow -- what a dream! Congratulations! That's a great honor and well deserved. Kudos to you!!! You deserve it! I can't wait to get my hands on a copy and see it for "real." Congratulations Courtney! I just got my copy, too, and am so happy for you! It is nice to recognize a blog they feature when I open to the site seeing page. Your photos look fabulous. Congratulations!!! How exciting that you were featured. I'm so happy for you. Congratulations on a dream come true! feeling of this beautiful magazine. I'm so glad to hear how excited you are. It's wonderful. Congrats! What a wonderful tribute to your style! You must be over the moon with joy. Courtney, Congratulations.. i just picked up my copy this evening and it will be even more special because you are in there! You so deserve it too, you're one of the kindest most humble ladies in blogland. 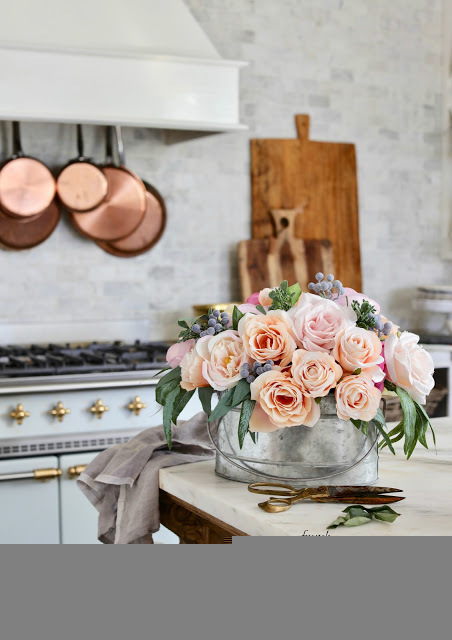 I love your pretty bistro and your bathroom is amazing, wonderful photos! Congratulations!!! I can't wait to run out and get a copy! How cool is that. Congratulations, I'm so excited for you! It is such a beautiful spread. Congratulations, I'm so excited for you! It's such a beautiful spread! Congratulations....no surprise here. Your things are so lovely. That is so cool! Congrats!!!!! WOWEE Courtney way to go!!! Oh Courtney, that is so fantastic! Well deserved too. It's my dream as well. Maybe some day! I am so happy for you. You have a talent you know. Congrats! Pretty cool Courtney! I want to come up and visit soon now more than ever..... how about before the snow starts falling? What wonderful news. It is very exciting, I know as I was feathered in Victorian Homes magazine in June. Thanks for sharing your good news. Richard from My Old Historic house. Congrats Courtney, you so deserve it!!! It's so lovely to hear about when someone's dream came true, gives us all hope for ours!! You're famous!!!! Congrats. You deserve it...you have excellent taste and a beautiful blog. Well deserved!! Your home is sooo delightful. Oh your house looked great in the magazine! For anyone looking for this magazine, it has been at Walmart and Barnes and Noble among other places. Congrats Courtney!! Oh my goodness!! I am so excited for you Courtney, and they could not have picked a more lovely home to showcase. I'm going to find me a copy so I can put it out and tell everyone that comes over that this is my beautiful friend Courtney's home. :) Congratulations!! Congrats!! That is soo exciting! I really enjoy your blog...you deserve it! Congratulations! That is awesome, and hopefully the first of many more! Congrats! We love looking at your blog so it should be in the magazine pages, how wonderful! BRAVO! Please take a bow! Congratulations! You deserve it. Courtney, I am so excited for you! Congratulations! This is well deserved. Félicitations! That is such a wonderful accomplishment. How fun that you didn't know it was in there until your friends were telling you! What a lovely surprise. Speaking of lovely, those are gorgeous pictures. Congrats. I am so happy for you. You are so talented and really a lovely person. I am so glad that they honored you in their magazine. Hehe...I was wondering when you were going to do a post and tell everyone about this FABULOUS NEWS! I am sooo excited for you, dear friend! Ohhh yes...to be published in such a popular magazine is truly magnificent! Of course, I am not in the least bit surprised...your home is one of the most beautiful that I have ever seen! Congratulations, Courtney!!! Soooo AWESOME!!! 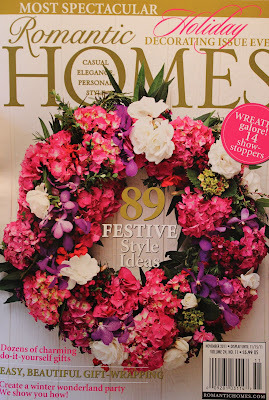 PS..just wanted to say that Romantic Homes is one of my favorite magazines! I pour over each and every copy! Yeah for you, well deserved. I am so glad to see regular bloggers in the magazines rather than the same ones every time. Congrats to you!!!!! You completely deserve a mention (heck how bout an entire article) in that magazine. Your home fits that style very well. 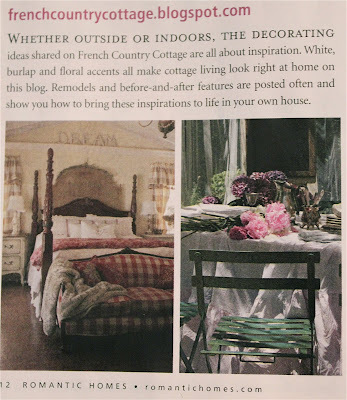 I love Romantic Homes Magazine and was very happy to see your home featured in there. Just beautiful, Courtney! So glad they're helping to share you with the world!!! Congrats! Your rooms are beautiful! High-Five Courtney! That's awesome - they pictures look great. Congratulations. 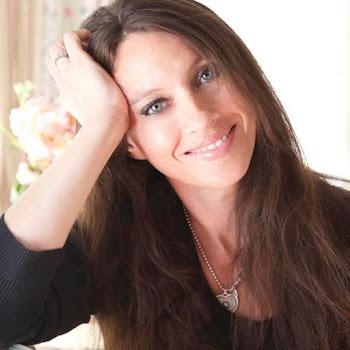 I am a little late, but I just saw this on your sidebar and got all excited for you. How thrilling!